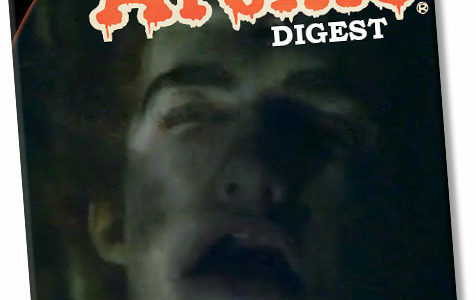 The second episode of Archie Digest: A Riverdale Podcast discusses "Chapter Two: A Touch of Evil." 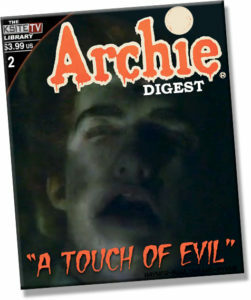 Thanks to the mad-timely editing skills of Russ Burlingame, the second episode of our Archie Digest Riverdale podcast is now online, talking about the second episode of the series “A Touch of Evil” which just ended on the East Coast! Participating in the second episode, as with the first, are KSiteTV’s Craig Byrne, the previously mentioned, very talented fan of Booster Gold Russ Burlingame from ComicBook.com, and Screener’s Chris Hayner. And, yes, we are hoping to get the show on iTunes sooner rather than later. 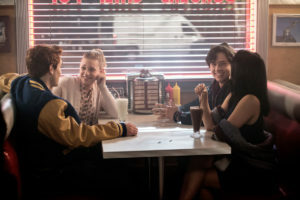 This week, we discuss the first episode’s ratings, our latest theories about who killed Jason Blossom, as well as praising Ashleigh Murray’s take on “Sugar, Sugar” as well as the iconic episode ending that featured Archie, Betty, Veronica, and Jughead all at Pop’s. Also there’s appreciation of the biting wit of such characters as Cheryl Blossom and Reggie. What is Cheryl guilty of, anyway? This show is so good, everybody, and again you are treated to three men in their thirties talking about characters from the Archie comic books. You can find the latest podcast below or at our Podbean page. And, obviously, if you haven’t seen “Chapter Two: A Touch of Evil” yet, watch the episode first or you’ll be spoiled! If you’ve just finished watching “Chapter Two: A Touch of Evil” and want to talk about it with other fans, come by our Riverdale forum!